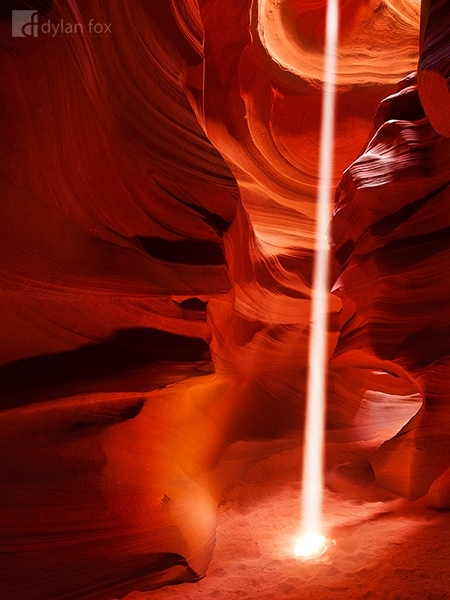 A thin beam of light cuts through the air in Antelope Canyon. The stunning sand stone formations and there beautiful colours combined with these amazing light shafts makes this a truly special place. Antelope Canyon is a place I really do hope to visit again one day. The combination of colours, textures, formations and light is so special. Really a place that made my jaw drop! Secure your limited edition, Antelope Canyon photographic print, 'Shimmer', by selecting your desired print size in the menu to the right.